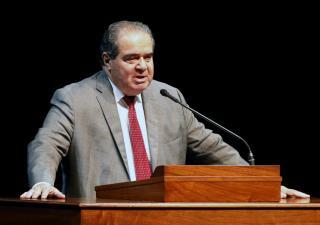 (Newser) – Conspiracy theorists have some out-there questions about the death of Antonin Scalia, but the Washington Post is focused on a more practical matter: his professional ties to the owner of the luxury ranch where he was staying in Texas. Scalia wasn't being charged for his visit to the private Cibolo Creek Ranch, which is owned by businessman John B. Poindexter. "He was an invited guest, along with a friend, just like 35 others," Poindexter tells the Post. The reason for the newspaper's inquiry? Poindexter owns the manufacturing firm J.B. Poindexter & Co., and the Supreme Court declined to hear an age-discrimination case last year against one of the company's subsidiaries. A hunting trip is all it took to buy a SC justice? I bet there was something else. Maybe a cush, no show job for a grandchild or nephew.